Expat Life with Chickenruby: Wedding Photo Swop in high resolution for printing. Wedding Photo Swop in high resolution for printing. We've attended two weddings this year already, our 3rd is in October and we have one more planned for September 2019. The weddings so far have been that of our eldest son and best friends. It’s the turn of our niece in October and our 2ndyoungest son next September. With family and friends living around the world and not everyone being able to attend, it’s rare for us all to be together at any family event. When one family member is unable to attend we still want to make them feel part of the event, even if they can’t physically be there. So when I heard about Wedding Photo Swap I decided to take a look. It allows you to create your own personalised space in an app where guests can share the photo's they have taken on your wedding day. Once you have downloaded the app you can email your guests or send them the link with the invite. Although a professional photographer has been at both the weddings to date, they spend the time with the Bride in the morning as she gets ready and arrives at the church. 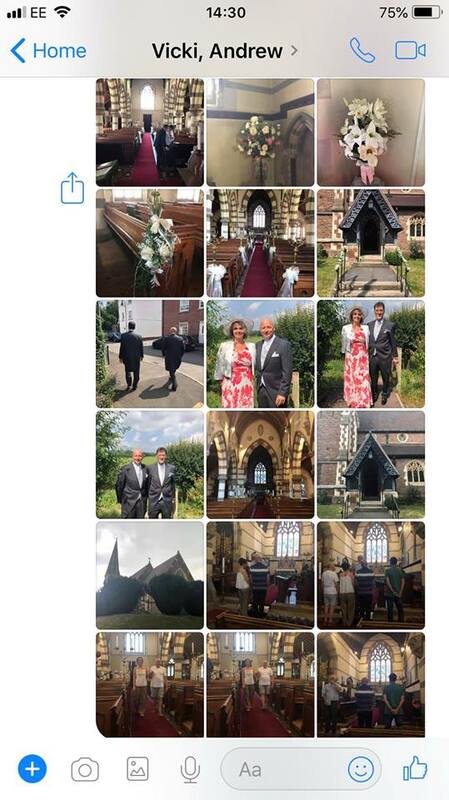 With the app we would be able to upload the photos taken of our son when he arrived at the church and for the second wedding, the Groom stayed with my husband and I the night before, we would be able to take and share photos of him and his best man getting ready also. With the official photographer leaving the venue after the cake has been cut and the first dance, it’s a lovely way to have un staged moments of evening only guests and friends and family snapping away catching those other ‘unseen’ moments that the Bride and Groom often miss. 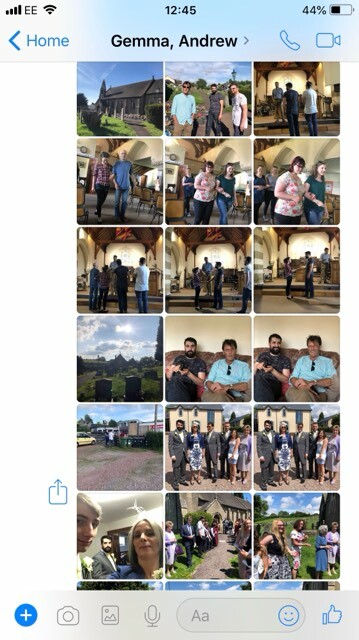 Wedding Photo Swop allows guests to share their photos from your wedding with everyone else and they are saved in high resolution for you to download and print. What I particularly like is that photos can be shared for those who can’t attend allowing them to still be part of the day but not posted online until the Bride and Groom decide to share their pictures of their big day. For the last two weddings we’ve attended we’ve shared the photos we took with the Bride and Groom via face book, but the quality is affected when it comes to the Bride and Groom wanting to print any photo’s out. With the app the photos are saved in high resolution. Photos can then either be downloaded or edited and printed directly from your phone and they can be uploaded as the day unfolds rather than sending 100’s of photos via face book in the following days, as I’ve been doing for the past two weddings. I certainly will be passing this on to my niece for her wedding in October and my other son for his next year. It would also be a good app to use at hen and stag parties and who knows? Christenings in the future.